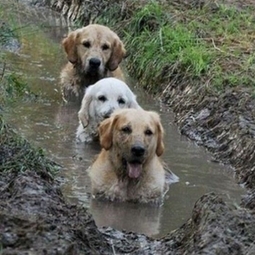 Our patients love our SPA Day Fridays! Maybe they had a wild week and have gotten into a little trouble like the crew in the picture - a day of pampering with us gets them ready for their weekend! On SPA Day Fridays, our veterinary technicians give baths, clean ears and do nail trims - for $28.50! If your pet needs veterinary care, we are happy to schedule that in as well. We do not do grooming, we do not have a groomer - our technicians are trained in surgical clipping - not the best look for most pets! Due to the popularity of our SPA Day - appointments are a must! Call for your appointment today!